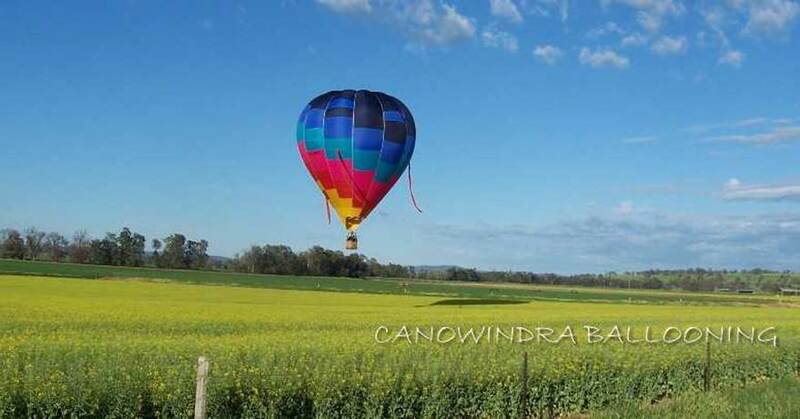 Canowindra, the Hot Air Ballooning Capital of Australia, is located on the Central Western Slopes of New South Wales, some 300 kms west of Sydney. Settled in the 1830's, Canowindra experienced a spectacular growth during the gold rush of the 1850's when bushrangers Frank Gardiner and Ben Hall raided the town and surrounding countryside. It was a prosperous agricultural town during the late 19th and early 20th century. Like many other small agricultural towns, Canowindra experienced an economic decline during the 1950's and 1960's with the drift to the cities and larger nearby towns. Canowindra had its first experience of hot air ballooning in the early 1970's. However it was not until 1979 with the establishment of Canowindra Ballooning instructional weekends by Len and Elsie Gedge, that ballooning became a regular feature of the landscape. These weekends were based at "The Balloonery", their ballooning lodge converted from an old Mill. With the commercialisation of ballooning in 1982, a number of passenger balloon operators set up in the town and there was a minor boom - another 'gold rush' - this time for the tourist dollar. As commercial ballooning spread nationwide, this has matured into a popular operation with passenger balloons operating in Canowindra most weekends, as just one of the many attractions in the surrounding area. In recent years growth of the wine and olive industries and the thriving artistic community in the region have given Canowindra a new lease of life. Ballooning, both as a sport and a business still has a prominent place in the daily life of the district. In 1988, 2011, 2013 & 2014 Canowindra was the venue for the Australian National Hot Air Balloon Championship, organised by Canowindra Challenge Inc.